Scholarships were named for our Artists-in-Residency to honor their contributions to the field of children’s literature. We received many quality applications and reviewed submissions on the basis of artistic talent and seriousness of purpose. Recipients of the named scholarships will attend a workshop of their choosing from our 2018 program offerings. Laurie Halse Anderson is a New York Times-bestselling author who writes for kids of all ages. Known for tackling tough subjects with humor and sensitivity, her work has earned numerous national and state awards as well as international recognition. Two of her books, Speak and Chains, were National Book Award finalists. Laura Villareal is the recipient of Laurie’s named scholarship. 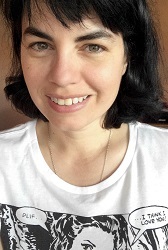 Laura will attend Connecting Source to Story: Mining the World For Your Fiction. 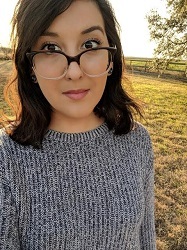 From a small town in Texas with more cows than people, Laura Villareal earned an MFA from Rutgers University-Newark and is a VONA/Voices alum. Her writing can be found in Apogee, Cosmonauts Avenue, Breakwater Review, the Platypus Press anthology A Portrait in Blues, and elsewhere. Kathryn Erskine writes books for children and teens. Her debut novel, Quaking, was one of YALSA’s Top Ten Quick Picks for Reluctant Young Adult Readers. Her novel Mockingbird won the 2010 National Book Award for Young People’s Literature, and her other novels include The Absolute Value of Mike, a Crystal Kite winner, Seeing Red, a Jane Addams Award honor book,The Badger Knight, and The Incredible Power of Being. Kathy’s debut picture book, Mama Africa, published in 2017, has garnered several starred reviews. Susan Ambert Ranes is the recipient of Kathy’s named scholarship. Susan will attend Elements of Plot with Grace Lin and Padma Venkatraman. Susan enjoys reading and writing children’s novels, picture books, and short stories, but by far her favorite age for readers is the preteen-to-young-teenage years. Middle grade novels have always been close to her heart because those were the books she “escaped into” throughout her own childhood. Susan’s work has appeared in Highlights for Children magazine. In 2004, she received a Letter of Merit in the SCBWI Barbara Karlin Picture Book Grant competition. In addition, Susan served for many years as a moderator for a popular children’s writer online forum. She is an Assistant Professor of English at Louisburg College in Louisburg, North Carolina. Denise Fleming is the author/illustrator of many award-winning picture books. Fleming’s books are created in her signature style of pulp painting, a paper-making technique. Often, the art is embellished with decorative papers, pastels, or copy transfer. Her work has received many awards, including a Boston Globe-Horn Book honor, a Caldecott Honor, and a Silver Medal at the Society of Illustrators. Her books have been included on many best book lists and master lists, such as Chicago Public Library Best of the Best, CCBC Choices, and the Oppenheimer Gold Medal, among others. Carly Garzon Vargas is the recipient of Denise’s named scholarship. Carly will attend Color, Light, Line, and Texture: A Hands-On Workshop this spring. 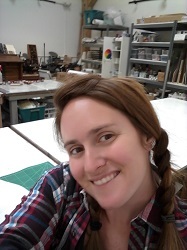 Carly is a bilingual author-illustrator based in Sisters, Oregon. She is a graduate of the University of Oregon with a degree in Spanish Literature and Anthropology and studied, lived and worked in Cali, Colombia earning a graduate degree of International Humanitarian Law Human Rights and Culture of Peace. She loves working at the library, getting to interact with her audience at story time, and being surrounded by books all day long. Varian Johnson writes for children and teens. His Jackson Greene middle-grade series has garnered starred reviews and was named an ALA Notable Book selection. The Parker Inheritance, Johnson’s 2018 release, has already earned a star from Kirkus. In addition to his writing, Johnson is co-founder of The Brown Bookshelf and a dynamic speaker at schools and conferences. 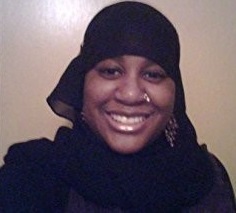 Maryam A. Sullivan is the recipient of Varian’s named scholarship. Maryam hopes to attend “Writing Diverse Books for Children” with Sona Charaipotra and Dhonielle Clayton. Maryam writes under the pen name Umm Juwayrivah. She is an indigenous American Muslim and founder of #MuslimGirlsRead, a literacy initiative geared toward inner-city American Muslim girls and young women. In the early 2000s, she was a founding member of the international Islamic Writers Alliance. She also served as editor-in-chief for the New England Muslim Women’s Association, which is the oldest and longest running Muslim women’s nonprofit organization in New England. Maryam is an international educator and author of novels and picture books for children, with her most recent novel, Tried & Tested, released from IMAGO Press in 2017. We would like to thank all writers and illustrators who applied for these highly competitive scholarships. While we selected one recipient for each named scholarship, we hope to provide grants and scholarships to other authors and illustrators who applied. If you applied for one of the 2018 Artists-in-Residency scholarships, you will be notified within 90 days of any additional grant monies available. Please join us in congratulating Maryam, Carly, Susan, and Laura on being named this year’s recipients. Our 2018 Artists will be announced in March 2018.